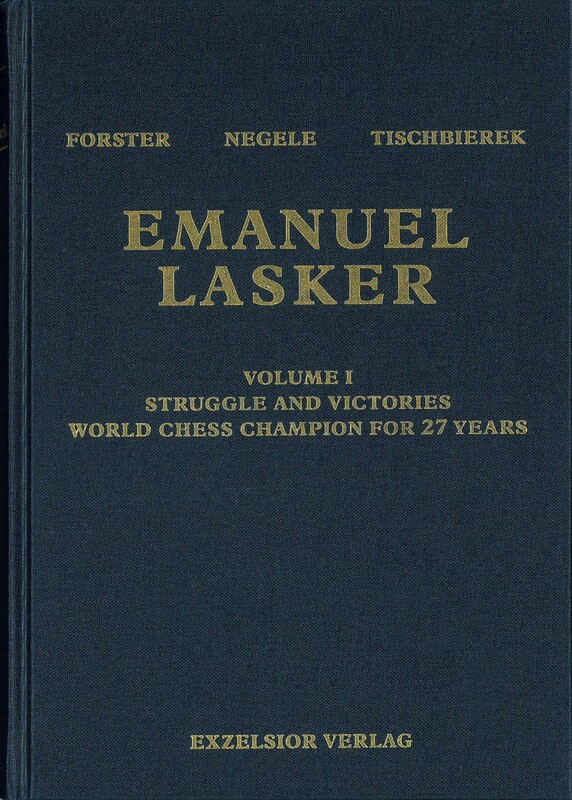 One of the most important publications of German publisher Exzelsior-Verlag was the monumental Lasker monograph, published in 2009, which quickly sold out. Now a new, three-part Lasker biography will be published in English. The first volume deals with the childhood and school days of Emanuel Lasker and his family history. In addition, he deals with the mathematical work of the only German chess world champion. His life and work in London and in the US is presented by renowned chess historians Tony Gillam and John Hilbert. In addition, Lasker's contribution to problem and study chess is highlighted. The chess-specific area is covered by Mihail Marin and Raj Tischbierek with detailed annotated games. Raj Tischbierek examines Lasker's competition against Siegfried Tarrasch for the 1908 World Champion's crown.